Everyone who drives a car knows that having their vehicle serviced on a regular basis by a trusted mechanic can save them a lot of money when it comes to servicing or repair time. It is a good idea to find a mechanic that you trust, who never gives you a nasty surprise and is consistent in their dealings with you and your car will last longer than you might have thought. A good mechanic will always have the tools that are needed to do the job. The best thing that motorists can do to ensure that they get a good deal when their car has to go through its annual MOT is to find a regular mechanic that they trust. The newspapers are full of people who have been taken for a ride by rogue mechanics who charge for work that hasn’t been done and spare parts that are not needed. Using a mechanic that you don’t know can be a risky and expensive business when it comes to getting your car serviced or put through its annual roadworthiness test. All too often motorists will go from one mechanic to another to see whether the next one will give them a better deal than the last. 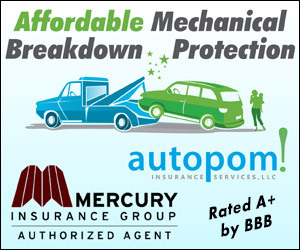 It is a good idea to stick with just one mechanic that you trust and who you can get to know. Most garages and freelance mechanics make it their job to look after the interests of their regular customers. If you have had a bad experience when having your car serviced it may be because you were an unfamiliar face. Mechanics that are inclined to take advantage of motorists usually do it to those that they are unfamiliar with. Not all mechanics have the right tools for the job when it comes to servicing unusual cars so make sure you are dealing with someone who has experience of your make and model. Motorists that are generally satisfied with the service that they receive from their mechanic will often use the same person for many years. We always take our car to the same local mechanic when it needs a service, the only time we didn’t was when we bought a new car and it was entitled to servicing from the original supplying dealer. However when the car was serviced at the supplying dealer, there were always problems following a service. Certain aspects of the service were meant to be free but each time we got the vehicle back it appeared to have developed a totally new fault and had to go back to the garage. As soon as the contract was over we took our car back to the mechanic we had always used in the past and never had any problems following a service. In my experience if you want an efficient and consistent service for your vehicle, the best way to get this is to find a local mechanic and to stick with them. Your local mechanic can usually be trusted to look after your vehicle and only to charge you for necessary work that they have carried out. This post was written by Crispin Jones on behalf of Tool Orders who supply Teng Tools. Crispin needs to drive every day to get to work and values the wealth of experience his local mechanic has.